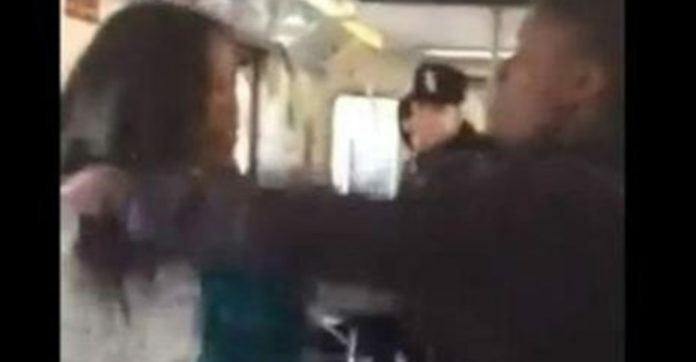 A mom was all alone on the subway when this teenager began harassing her. She warned him: Back off, little man – you’re messing with the wrong lady. He didn’t listen. So she showed him. There are few things in the world more downright infuriating than disrespectful people, and that gets even worse when these individuals take it a step up to harassment. This woman is just going on her daily commute via the subway when a teen starts to harass her. He spits at her in contempt for no visible reason, and she immediately dares him to do to it again. The boy is aggravated by her words and begins to threaten her. In response, the woman tells him to go to school. The boy does not take kindly to these words and threatens to knock her out. And so she dares him to touch her, like she dared him before. This time, he follows through. Bad move. As soon as he shoves her, the woman grabs her can of pepper spray and lets it rip, full blast, in the teen’s face! The boy is left to limp off, crying in pain, as the woman takes a triumphant walk away. It’s definitely concerning that no one on that subway stepped in to help, but clearly this woman didn’t need anyone else to have her back!